ON Browhouse believe in restoring your best brows. We are PhiBrows Accredited Artists. The microblading team at ON are more than a little passionate about brows. Brows are in our blood, we think about brows, dream about brows but most of all we are passionate about giving back some self-love to clients who hate their brows (or lack thereof). 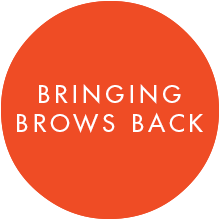 We believe that everyone has an ideal brow based around restoring the one that nature always intended. One that will enhance and complement your features, face and personality. We have spent years researching and trailing to find the perfect combination of materials and products to deliver a truly superior treatment and experience – from pigments, blades/needles, hand tools through and aftercare. And we listen – we respect your wants and needs, we listen to your concerns and answer your questions. Click the images below for examples of our recent work. For more, see our Instagram gallery.